We’re a phone call away. Call us toll free, 1-800-626-0664, for help with your product selection. When MDF is cut, a large quantity of dust particles are released into the air. It is important that a respirator is worn and that the material is cut in a controlled and ventilated environment. It is a good practice to seal the exposed edges to limit the emissions from the binders contained in this material. Formaldehyde resins are commonly used to bind together the fibres in MDF, and testing has consistently revealed that MDF products emit free formaldehyde and other volatile organic compounds that pose health risks at concentrations considered unsafe, for at least several months after manufacture. Unfortunately certain woods such as MDF (containing glues, adhesives , resin) will consume filters quickly. 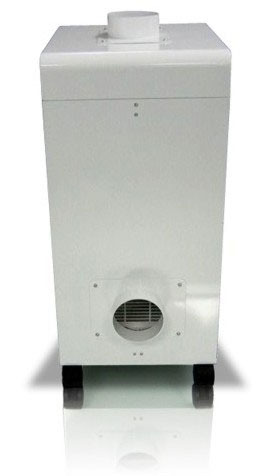 If you work with these materials lots we suggest getting the PF400 – http://www.airpurifiers-r-us.com/pf400-laser-fume-extractor-prefilter-section.html – the pre-filter bag section is incorporated into the CSA600 series. The resin could be in the wood itself or if many layers are bonded together the bonding adhesives / glues could be the culprit. Essentially the laser vaporizes the adhesive or resinous material which then condenses / sticks and clogs the filters rapidly. Sometimes it is the natural resins within a particular wood. When this type of material is lasered the fumes can sometimes block the pores of the filters. This will not be unique to Quatro’s filters but to any unit that contains particulate / HEPA filters. 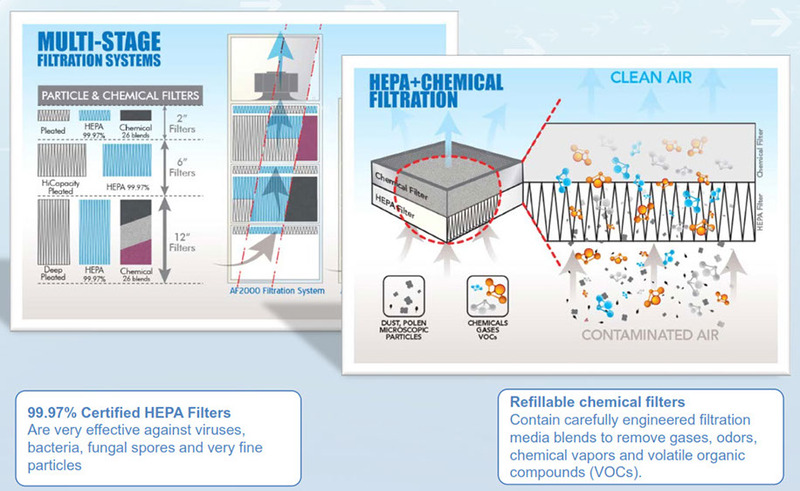 Installing a pre-filter section may prolong the life of the HEPA filters. It all depends on what type of debris is being generated in the particular application. 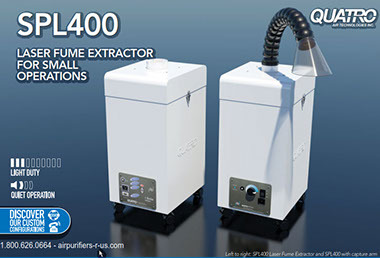 Call us for help with your Laser Fume Extractor / Air Filtration System.